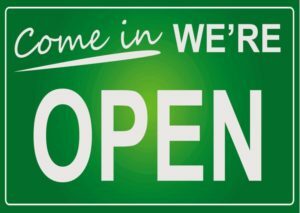 In addition to our regular M-F hours, the SCARCE Book Rescue is open 9am-12pm on the 2nd/4th Saturdays of each month Aug-April and 2nd Saturdays May-July. The Book Rescue is closed on holiday weekends. View our regular hours or our calendar for weekend/holiday hours. School and non-profit employees** are invited to come and browse materials and take items for their offices, programs, or schools. Suggested donation is $5 per box (cash or check, please!). We are rely on your cash donations to stay open! Item Donations: Book and supply donations are taken from the public during book rescue hours. Delivery appointments are required for 5+ box donations. No ID is required to donate. **Children are not allowed in the book rescue. **All visitors must show a current proof of employment/affiliation with their school/agency. Used Book & Record Sale hours: SCARCE also hosts a used book and record sale that is open to the public on the Saturdays our Book Rescue is open. It is located a few doors down from our Book Rescue – follow the signs to the garage at the end of our building to shop for a great deal!